For some time now, Emma has been fascinated by cloaks. She would wrap any piece of fabric she could find (and there are quite a few in my stash) around her shoulders. So I decided to make her a proper cloak - purple, of course. And then I remembered the issue with bags at Christmas time, so I found some pink fabric and made a cloak for Olivia as well. 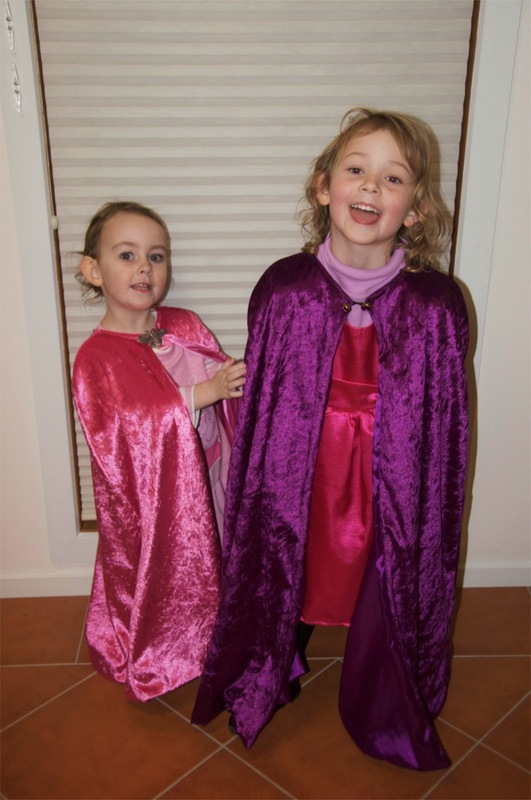 Emma loves her cloak but Olivia was less impressed by hers - though she's happy enough in this photo. How lovely, even if Olivia didn't appreciate hers.